The Euronext Best of Book Quotes Feed includes the best limits per security, i.e. quantities of Level 1, best bid and offer, and Level 2, up to an additional 10 best quote limits, of the Euronext Best of Book trading platform. 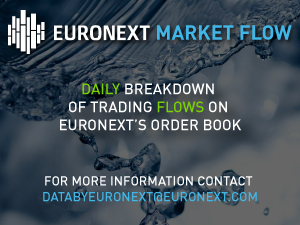 The Euronext Best of Book XDP Quotes feed is specifically designed to provide quotes market information to clients participating in the Best of Book trading program.